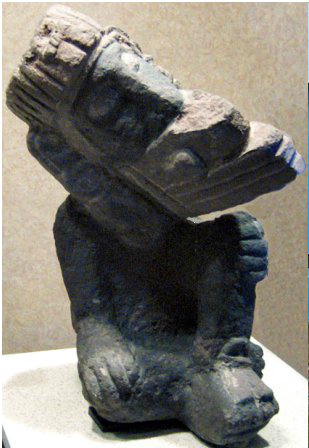 Ehecatl, an aspect of Quetzalcoatl, in Aztec thought, is a god of wind, of the breath of life, a creator god. He is often, if not always, portrayed as “duck billed”, and or with some sort of mask type appendage on his face. 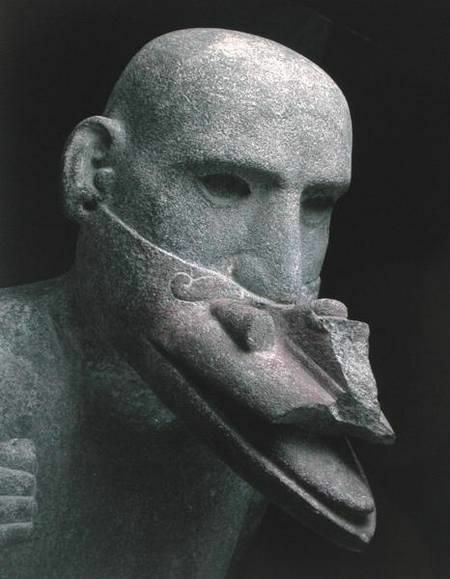 Traditionally the “duck bill” or extra appendage on the face will be explained as symbolic of wind or the anthropormophizing of a god associated with water and and therefore life and rain etc. Considering that those referred to as gods in the distant past are very possibly to have been of an advanced civilization from another planet or dimension, this extra contraption on the face might actually be a representation of some sort of breathing apparatus, depicted or interpreted by people who would have had limited understanding of this idea or kind of technology. 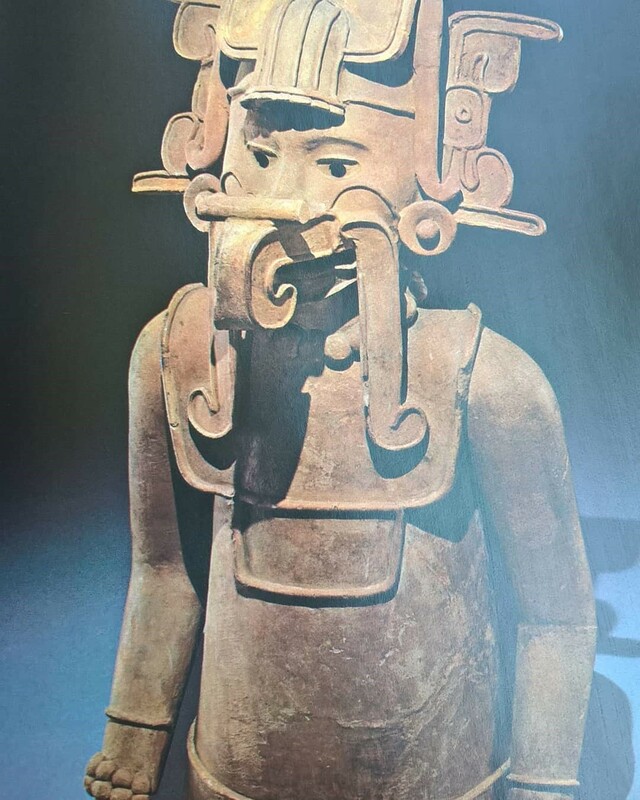 Ceramic half length figure from Veracruz (300 – 900 C.E.) of Ehecatl god of wind, an aspect of Quetzalcoatl. This entry was posted in Angels, Archaeology and tagged alien gods, ancient aliens, Ehecatl. Bookmark the permalink.